Showing 166 results in the category Libraries and museums. Open Mon-Fri 9am-6pm, Sat 10am-1pm (term-time), Mon-Fri 9.30-4.30pm (vacations). General UG and research music coll, inc sound and video recordings. Books, scores, CDs, DVDs. Loans to members of the university and fee paying external members; otherwise reference only. Hill coll of str insts and bows (photos and measured drawings of str insts available for research). Wide range of books, scores, CDs and DVDs for loan; electronic resources such as Naxos Music Library and Oxford Music Online available to library members; 2 practice pianos; high-profile programme of free exhibitions. Birmingham Fl Society coll, early printed music coll. Inc 10th-20th C mss; former Music School coll, Deneke-Mendelssohn coll, Wight Bequest, Bourne Bequest, Harding coll, former St Michael's College, Tenbury coll, Alan Tyson coll. Coll of mus insts dispersed among various museums in Bradford Metropolitan area. Mostly at Cliffe Castle Museum, Keighley. Classical, leisure, educ and media music. Cats available: music for schools, kb, str, ww, br, perc, ens, symphonic band, vocal, choral. Also Bote & Bock and Richard Schauer (Simrock, Benjamin and Rahter). Special coll of Baptist hymn books (mostly words only). One and a half million items of printed music received by legal (formerly known as copyright) deposit, purchase or gift. Special colls inc Hirsch Music Library, Royal Music Library (inc Handel autographs), Stefan Zweig coll, Royal Philharmonic coll. Over 100,000 music and music-related mss inc autographs of Purcell, Bach, Haydn, Mozart, Beethoven, Elgar, Vaughan Williams, Holst, Britten, Tippett, Maxwell Davies, etc; mediaeval to modern vocal and inst music. Acts as a clearing house for inter-library loans, both nationally and internationally. In addition, it has an extensive stock of its own, inc a substantial and comprehensive collection of more than 135,000 music scores (excluding vocal and orch sets).The British Library does not lend directly to individuals, but through a network of borrowers comprised of public libraries, university and college libraries and other commercial or non-commercial organisations. It is free to join and any organisation may apply, details from the above address or on website. Individuals may apply to receive photocopies from the British Library's collections, but music scores cannot be copied. Largest reference coll of sound recordings in the UK open to the public, free listening and viewing service, full reference library of associated literature. Info on commercial discs, history of recording, broadcasting and location of recordings around the UK. 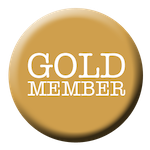 Member of the International Association of Sound and Audiovisual Archives. Printed book and periodical colls, specialising in British 20th C music literature relating to Britten, Pears and their associates. Mss, printed music and personal papers of Benjamin Britten and Peter Pears, as well as press cuttings, programmes, photographs and sound and video recordings (chiefly relating to Britten and Pears). Mss of works by other comps and literary mss. English song (16th C to present day), Aldeburgh Festival and Britten-Pears School archives, English Opera Group and English Music Theatre archives. Inc mss and correspondence of Mendelssohn, Charles Dibdin mss, Novello (music publishers) mss and correspondence, correspondence of Herbert Thompson (music critic), Fiske-Platt coll of late 18th C and early 19th C English opera.